Since 1926 when we became a public limited company, each year we have reported on our company strategies, objectives and results. 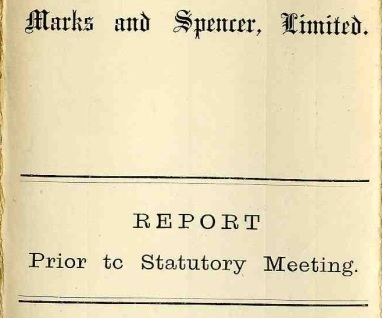 We have a copy of every single M&S annual report - from this year all the way back to 1926! We've also got Annual reviews, Interim Results and lots more. Explore this theme to discover how our Corporate Literature can help with your research.